Published on 18 November 2012. 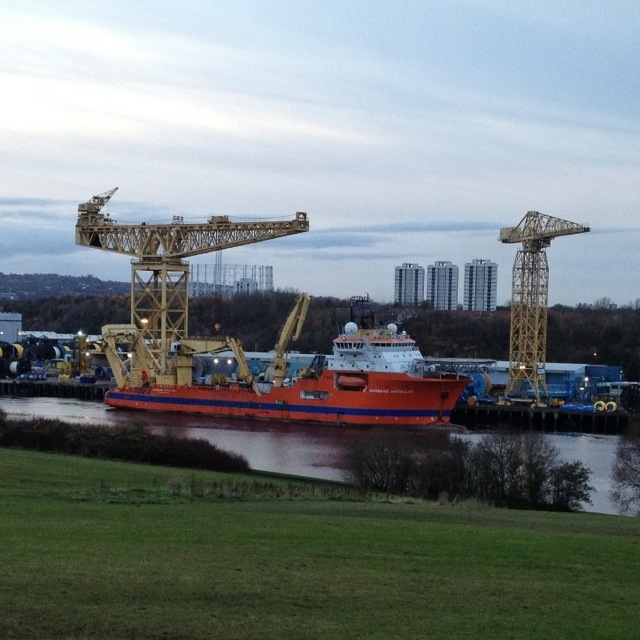 This is the Normand Installer, an offshore construction vessel moored at North Shields. It’s just six years old, and was built in Norway. The orange paintwork is certainly eye-catching, but perhaps it’s common for seafaring construction vehicles to have highly visible paintwork, like their land-based equivalent. I’ve really no idea whether that’s the case or not! This 1,895th post was filed under: Photo-a-day 2012, North Shields.